800 Recovery Hub (the HUB) was founded by, husband and wife, Bruce and Victoria Berman. The Berman’s are no strangers to addiction recovery. Bruce and Victoria have over 20 years each of continuous recovery. Together they have 4 children, 3 of which they have placed in various treatment programs. This practical experience allows them to relate their personal success stories with anyone seeking their assistance. The HUB has been doing laser-focused marketing since 2014. That’s because the sole focus has been on the substance abuse treatment center field. 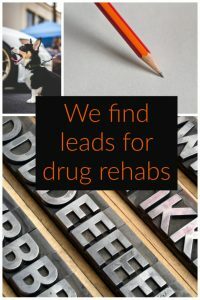 We create leads for drug rehabs, by advertising on the Radio and the Internet, providing SEO services, and much more. The Hub also provides, call and chat center services, for multiple facilities. The Hub has worked with thousands of people seeking treatment, as well as their family members. In the last decade, the Hub has published numerous articles, about how to get a person into substance abuse treatment, and more importantly, how to get them to stay and complete treatment. Prior to co-founding 800 Recovery Hub is a well-known “DRM” Direct Response Marketer. For over 10 years, he ran successful multimillion dollar, Radio, TV, Internet and Print nationwide marketing programs. Bruce has successfully incorporated that DRM knowledge, and his recovery knowledge, into creating intakes, for many different substance abuse facilities. Mind-blowing skill: taking phone calls from drug addicts and their family members. You won’t find better. She had a successful technology career beginning at Ayaya. Avaya is a recognized innovator and leading global provider of solutions for customer and team engagement. Victoria is, certified with Bing Ads, Google Ads, and Digital Analytics. She puts those skills to work in online marketing. Starting with Website Analytics she will find ways to improve your website with quality traffic. Her skill set includes creating Landing Pages, SEO, HTML, WordPress, Social Media and much more. Best skill – finding leads for drug rehabs.